Sport Tourism is the fastest growing sector within the tourism industry generating a international, national and regional focus in how its contributes to the development of destinations from an economic and profiling perspective. W2 Consulting are retained Sport Tourism advisors to World Travel Market, the largest global tourism event and are funders of the European Sport Tourism Summit. We undertake consultancy work with event companies, commercial brands, destinations and government agencies advising on Sport Tourism event development and management. W2 Consulting deliver the annual European Sport Tourism Summit, a conference event dedicated to Sport Tourism. The event features international expert speakers from global sports events, international destinations, mass participation events and tourism bodies. Delegates attend from European and International destinations including a number of event rights holders that have subsequently selected Ireland as a host venue for a number of sporting events. Visit www.sporttourismsummit.ie for further details. 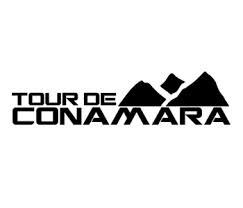 W2 Consulting work with Tour de Conamara in the delivery of a range of services from marketing, PR, sponsorship development, event operations and participant growth strategy. The Tour de Conamara is the west of Ireland’s largest mass participation cycling event and has attracted international media attention from UK, France, Holland and the USA. The 2016 event takes place on Saturday May 28th and is part of the international Celtic Series programme. W2 Consulting were selected by World Travel Market on their industry expert panel to deliver a number of the key events focused on sport tourism for the 2014 + 2015 World Travel Market. Among the speakers featured in the W2 Consulting programme sponosred by Eurosport included the head of the International Rugby Board, England 2015 and France 2007 to discuss the potential of the 2015 Rugby World Cup. The second session focused on using sport tourism as a key to developing tourism destinations with speakers from Sport Event Denmark, SportCal and the CEO of the Glasgow Commonwealth Games, facilitated by global expert in Sport Tourism Prof. Terry Stevens.